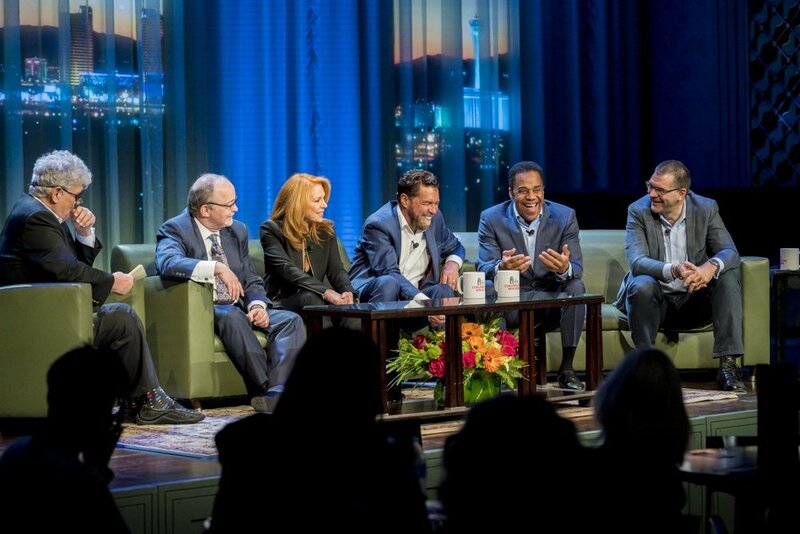 An expert panel discussed "The Evolving State of Entertainment" on "Conversations with Norm" on Sunday, April 15 at Myron's Cabaret Jazz at the Smith Center for the Performing Arts. The panel included Smith Center CEO Myron Martin, entertainers Clint Holmes and his wife Kelly Clinton, Earl Turner and Review-Journal man-about-town columnist John Katsilometes. Announcing the event Sunday was Shawn Tempesta of KTNV-TV, Channel 13.
and Turner, starring in "Soundtrack" at the Westgate and Katsilometes. Next CWN is Saturday, June 9th at 2 PM with Master Impressionist Gordie Brown.